Lawyers and judges are very good at using words and phrases that nobody else understands. Below is a list of some common phrases used in mortgage repossession cases. Adjourned generally with liberty to restore - This order is made where the judge makes no final decision about the claim. However, unlike a normal adjournment, the case is not automatically listed for another hearing. Instead, the case is held in suspension unless either party to the claim asks for it to be re-listed - or restored - for another hearing. The word "liberty" in this phrase is considered to be old-fashioned and, in the spirit of making the law easier to understand, the word permission is often used instead. Many judges will now add the stipulation that the claim will be struck out or dismissed if neither party asks for it to be restored within a set period - usually a year. Chambers - The room, which is more like an office than a formal courtroom, where mortgage possession claims are usually heard. Mortgage cases are not open to the public because they, almost inevitably, include a discussion of a borrower's personal financial circumstances. Civil Procedure Rules (the CPR) - The rules which govern the conduct of civil court cases. Part 55 of the rules relates to possession claims and sets out the evidence that must be produced at court by the lender. This includes official copies, (or certified copies,) of the mortgage deed and of the Land Registry's information about the property. These show the lender's mortgage and whether there is anyone else who should be told about the claim. The lender must also produce an HRR Search, which shows whether anyone has registered an interest in the mortgaged property due to their relationship with the borrower. This is most likely to apply when a couple has separated and one party has left the home but wants it to be known that they may be entitled to a share of any sale proceeds. The lender is also required to send a notice to occupiers to the property informing any unknown residents that a possession claim has been started. Costs - Very often there will be no mention of costs during a mortgage possession hearing. This is because the terms of most mortgages allow the lender to recover all the costs of bringing legal action against a borrower who has failed to maintain payments. They do not require a court order to do so. Sometimes judges will say that "costs are to be added to the security", which has the same effect as if they said nothing - the costs will be added to the mortgage debt. If the judge thinks that the lender has done something wrong he may say that "no costs are to be added to the security". Default Notice - see Regulated agreement. HRR Search - see Civil Procedure Rules. Mortgagee, Mortgagor - The borrower is known as the mortgagor because he has given the lender - or mortgagee - a mortgage over his property. Norgan, also Norgan minimum and Cheltenham & Gloucester v Norgan - An important case in mortgage possession law which stated that a judge could, in principle, make a suspended possession order even if it would take the borrower the remaining term of the mortgage to clear the arrears. The terms "Norgan" and "Norgan minimum" are used as shorthand for the amount that a borrower would have to pay each month to clear the arrears over the life of the mortgage. Official Copies - see Civil Procedure Rules. Part 55 - see Civil Procedure Rules. Regulated agreement - A loan which is regulated by the Consumer Credit Act. Different rules apply to the mortgages which secure these loans. A Default Notice must be sent to the borrower before the lender can start a possession claim. The judge can sometimes grant a suspended possession order even if the borrower cannot afford to pay the full monthly instalment due under the mortgage. Section 36 (of the Administration of Justice Act 1970) - This contains almost all of the powers that judges have when they consider a lender's claim for repossession in respect of most types of mortgages. Lawyers will often refer to the "section 36 discretion", however, section 8 of the Administration of Justice Act 1973 made an important modification to the judges' powers. Taken together these provisions say that a judge hearing a possession claim can adjourn, make a possession order, suspend enforcement of that order, or stop or delay repossession at any time until the property has been repossessed. However, the judge can only do this if he is satisfied that any arrears on the mortgage are likely to be paid by the borrower within a reasonable time. If you can demonstrate that you have employment and are steadily clearing your arrears a court would probably suspend the possession order. Talk to your housing association and seek help from Citizens' Advice to ensure the courts are aware of your current position. House Sold For More Than the Arrears - What Happens? Landlord Hasn't Paid Mortgage, What Happens Now? Should I Get My Property Repossessed and Declare Bankruptcy? Will My Tenant's Deposit be Returned? Can Anything be Done Once your Home has been Repossessed? What Happens When Lenders Sell Repossessed Properties? How Does Payment Protection Insurance Work? Mortgage Arrears Fees - Can I Claim Them Back? What is a Sub-prime Mortgage? What Are House Buyers Looking For? Do I Have a Counterclaim Against My Landlord? Do I Have a Legally Binding Tenancy? Tenants of Mortgaged Properties: What Protection is Available? Who Should Receive Notice of a Mortgage Repossession Case? Will the Court Give Me Time to Sell My Property? 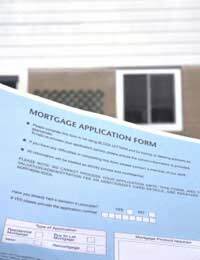 Re: Who Should Receive Notice of a Mortgage Repossession Case? Re: What Happens When Lenders Sell Repossessed Properties? Re: Do I Have a Counterclaim Against My Landlord? Re: House Sold For More Than the Arrears - What Happens?